All the modern businesses face a number of sources as well as kinds of communication, which can be used for a number of business benefits. A proper technology that the businesses can use for harnessing the multiple channels of communication is a Call Center Software. It is also known as the customer relationship management software that helps to rescue your business when numerous client requests start flooding in. The call center management software is responsible for streamlining the day to day processes of your call center, which further helps in getting the best performance out of the team of agents that you have. It helps in synchronizing the tracking process, manage and route both the incoming as well as the outgoing calls, and route all the calls to an appropriate agent. It also helps in monitoring as well as recording the calls for quality assurance. 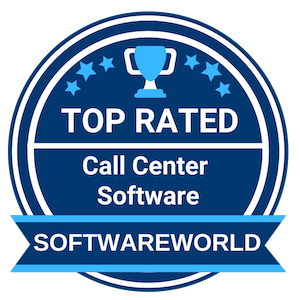 In order to know about the top ten call center software that you can use for your organization, consider the list that has been coined by SoftwareWorld. What are the Best Call Center Software in 2019? About Branch Messenger : The Branch Messenger software has been ideally designed for business organizations that need to manage three to four employee shifts. It is cloud-based tracking software that keeps an account of hourly work shifts of employees, allocates work, plans and organizes the shifts and also helps in interacting with the employees. It assists managers in creating digital calendars; employees also get alerted of any change in their schedule instantly. “I love that all you have to do is post the picture of the schedule and it will automatically list all the people working that day and it alerts everyone automatically. I think it is extremely convenient and I never miss a shift this way.” – Betsy V.
About RingCentral : RingCentral is cloud-based software that provides business organizations with tools for communication through fax, voice, text, and video. Some of the main features of the software are auto-recording, unlimited calling- both long distance and local and conferencing. Employees can use this software to remain connected through multiple devices like desktops, laptops, tablets, and mobile phones. It has integrated with applications like Dropbox, Google Docs and Salesforce. “Ringcentral meetings give us the opportunity to connect with our clients in an effective way. Also, it s great to use inside our company to connect our offices over the world. Ringcentral also offers you the opportunity to share your screen so everyone in the meeting can see your presentations.” – Guiliana T.
About InfoFlo : InfoFlo is integrated CRM software that helps in computer telephony integration, marketing, and sales automation, contact management, and customer support. Users can access it online and also install it on-premise. It helps in creating a CRM for clients that suit the needs of the companies and also its size. It can be used by B2B companies that can be mid-sized or small in industries like healthcare, real estate etc. 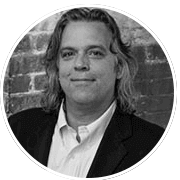 “Works well, simple to use, with a pipeline forecasting $ opportunity that works well. Integration with emails and calendar so tasks are always visible. To find a person quickly by their name or a company or category, especially with the search my computer function, making sales and managing customers very manageable.” – Greg W.
About VICIdial : VICIdial is a cloud-based and open-source contact center software that suits the needs of call centers that are small or large sized across different industries. The main features include email-integration, recording of online chats and calls, inbound and outbound calling and call routing. It can combine both inbound and outbound phone calls along with inbound email and chat in customer website in a single interface that is web-based. “It’s an inexpensive solution which allows complete management of any outbound campaign. It’s fully customizable which makes it really appealing, you can have different campaigns and different strategies to call. If you don’t have too much money to invest, this is your best choice.” – Juan Carlos M.
About uContact : uContact is a robust contact center software that helps business organizations in delivering optimum service and experience to their clients whenever there is a contact point through multiple communication channels. It offers you all the services in a single and uniform software. It has integrated with reputed telephony technologies like Visual Designer IVR, SIP and many more. It helps in managing the workforce and relationship with customers. “It easily adapts to the needs of the client or at least it was my experience, very easy to use and also has the support of the customer service team that provides a good service. It is simple to maintain and operate” – Yessika C.
About CrazyCall : CrazyCall is a calling application for call centers and professionals related to sales. You can access it through your browser and avoid installation or complex billing. It helps you in organizing and managing sales, reduces costs, controlling the quality of calls, automating and integrating campaigns related to telesales. It assists you in website conversions. Other features include call scripting, call recording, manual dialer, and queue management. “Good sound quality. In a job where the flames are endless CrazyCall has been very helpful, from being able to record calls in an orderly manner, to keep track of the cases that we have both in favor and negatively, this application has managed to improve our performance and increase our quality of service.” – Karla L.
About Shelf : Shelf is cloud-based software for managing content and digital knowledge. It suits the needs of businesses of all sizes in finding, sharing and organizing content. Its main features are team collaboration, content analytics, and file versioning. It provides you with a tagging feature that assists users in storing and organizing content into user-defined categories. It allows users to access only those documents that are important or allocated to them. “We were searching for a archiving solution that would package our company’s offline and online resources (designs, documents, ideas, etc.) into a value add, easy to find, easy to use tool for our customers. Shelf provided the exact solution. ” – Jackson D.
About CallCenterNOW : CallCenterNOW offers advanced technologies and value to call centers that have more than 5 agents. It gives you high standard performance, customer service, and interfaces that are user-friendly. It is the first choice for business companies due to all these features. It combines queued progressive dialing, outbound predictive dialing, and manages preview dialing. It can integrate multiple third-party applications. About VCC Live : VCC Live is cloud-based software for call centers. It offers telecommunication services to all kinds of businesses who are eager to offer instant support to their customers by phone. VCC can also be utilized for debt collection and telesales. It ensures the safety of your communications and transactions. It offers you a wide range of services from a single platform. “Integration possibilities, like embed browser, gave us an opportunitiy to integrate our CRM web application in to VCC. This integration provide us to deploy only VCC software at our Call Centre Agents or Home Agents. No other software (CRM) installation needed beacuse it is integrated to VCC.” – Tamas N.
About Zingtree : Zingtree is cloud-based scripting software for call centers in industries of all kind. It helps users to create, deploy and analyze agent scripts. Scripts are made with the help of a visual designer and also copied and customized from a script library that already exists. It helps in tracking the agent transactions and save them in the form of transcripts. It helps in improving the scripts through assessment. “Positive from every perspective! Platform is EXTREAMLY simple to design, implement, manage and scale. In the rare case we had a question, the support team responded very quickly to provide assistance. The team is also very eager to help solve new business problems by adding new functionality to the platform.” – Doug S.
The need for serving customers with superior level after-sale service has hyped the number of call centres in the last decade. The promise of 24/7 availability has led vendors to go for hiring a team professionals to be working on a continuous rotational basis. With the passage of time, call center planning and management have also evolved. Now there is a huge demand for next-generation customer engagement platform that can not only handle traditional media and social engagement but also can report and analyze the progress. The aim is to get technical and management benefits in a single suite. That’s where the need for a call center software goes primary. » What is call center software? » How does Call Center Software work? » Is it worth investing money in Call Center Software? » What are the features of Call Center Software? » What are the benefits of the Call Center Software? » What are the key buying factors to be considered before choosing the Call Center Software? » How to choose a Good Call Center Software? » What are the Best Call Center Software in 2019? It is automation software that handles service, sale, and revenue on the one hand and controls cost on the other side. It brings a perfect balance between these two parts so that the entire process can get more productive and efficient on all levels. As a cloud call center software, the setup process takes one day and offers instant service through web, chat, email, voice, video and social media platforms. It can handle large volume calls with ease through its Interactive Voice Response (IVR) module. The software is capable enough to create complex call flows with many integrations such as Text-to-Speech (TTS), Script analysis and Automatic Speech Recognition (ASR). The best call center software performs a number of tasks under a single time frame. For instance, for each incoming call, it verifies the identity of the callers, transfers the call to the right department as well as records the message for future training and quality inspection purpose. It keeps a close eye on the performance and creates a performance report worth analyzing for future improvements. Not just that, the software balances the use of phone lines and provide real-time monitoring on the ongoing progress. You can get historical reporting with omnichannel information and can easily inform your employees about the scheduling of new tasks or about any new changes easily. You get a number of advantages of having a call centre software by your side. It can act as both inbound call center software and outbound call center software. The technology integrated will help you have tremendous control over your workforce. Also, as calls get answered quickly, service level experience of the customers go high. Automatic transfer of calls reduces the abandon rate and increases the average speed of answer. The Call Center Software helps companies and businesses to manage their customers through different channels such as phone call, email, live chat, instant messaging, social media, and more. It helps to increase worker productivity while reducing wastage of time and resources required for bringing efficiency in daily activities. But here a question may arise that how does a single software manage to complete all the work it does? To understand the answer, let’s learn about the numerous features of the call center software which work together to make the software a success. Rather than being a traditional phone, the telephone controls in the call center software have a varied number of options to make your work simpler. One can easily pick up, hold, mute, transfer, or make a conference of many members, using the call center software. Not only this the software also streamlines the job for companies by automatically receiving calls and transferring them to the respective departments. This tackles the need for hiring people specifically for receiving calls. Almost all the call center software, nowadays, come with Interactive Voice Responses or IVRs which can be heard when an individual calls on the customer support number of a company or business. This feature is mostly used to greet the callers, guide them for instant support, and more Moreover, many reports have stated that this feature has been quite popular in recent years as the callers find IVRs more engaging and professional than simple caller tunes. Agents have to mention the gist of every call alongside the callers’ profile in order to keep a track on the particular services provided to the users. As writing down the summary each time can be time-consuming as well as tiring in case of high call pressure, the cloud call center software provides disposition codes. These codes can be used instead of writing down whole points on the subject of the call as each code has a specific meaning attached to it. This feature is a new addition to the myriad of other elements in the cloud call center software. Using this, new agents or beginner’s can transfer the calls to their superiors in case they are not able to understand the situation correctly. As this is done without keeping the call on hold the chances of ‘drop-outs’ from the callers’ side are drastically reduced. This feature comes in handy in case the agent is not available. It allows the callers to leave voicemails and in some cases even emails to let the agents notify about their issues. The cloud call center software then automatically sends the complaint voicemails or emails to the respective institutions. As previously discussed, the popularity of the inbound call center software has been witnessing a steep increase since its inception, all thanks to its plethora of benefits which are offered to the companies and businesses. So, let’s learn some of the common yet most essential benefits the software endows upon the humankind. The inbound call center software plays a vital role in cutting down the expenditure as a single software is capable of handling almost all affairs. Moreover, as the simple tasks like picking up calls and transferring them to the respective agents are streamlined, the employee can instead focus on providing better services and products. Similarly, the installation and maintenance charges of the software are usually less and hence; one can rest assured that they will not have to pay a hefty amount for the software implementation. Nowadays many inbound call center software come with cloud accessibility services which enable the approved circle members to join at any time via the cloud network using their smartphones. The cloud accessibility also helps in easy retrieval of information when needed, while engaging strict security protocols to provide a safe environment to the company’s data and reports. Time Analytics and Reports- The outbound call center software often comes with in-built real-time analytics and reports which helps the companies to stay updated on their customer’s behaviour and orientation. This data can then be used to develop tailor-made products to keep the customers hooked to the business. Additionally, the software can also be used to keep a track on your agent’s activities and the total capacity of the employee. No wonder the benefits and facilities provided by the outbound call center software out pars a company’s human capacity when compared. This is because the simple yet effective tools are hardwired to carry out multiple functions at a given time. However, to ensure that choosing the software is a good choice for the company, there are some crucial points worth considering. Hence, in this list, we have hand-picked some of the essential points to be remembered before choosing an outbound call center software. Check them out now. › Does your company need the Call Center Software? While installing the cloud-based call center software can be overwhelming for a company, the case is not always the same. If your company has just started its business or has fewer products or services to provide to its customers, then it is preferably better to give some time for letting the business flourish before implementing the software. When its the right time, one can always go for any available cloud-based call center software. › What are your requirements from the software? Each company or business has some sets of requirements; they want the software to have. Hence, before choosing a cloud-based call center software, it is preferable to note down the conditions beforehand. This not only saves lots of time but also helps in narrowing down the list so that a few perfect choices are left for you to choose from. › What is your budget? Deciding the estimated budget can lend a helping hand when it comes to choosing a call center software. In case the budget is not determined, the risk of investing in expensive software increases by many folds. This can have a drastic impact on the expenditure of the company and can create a massive dent on your pocket as well. Both beginners, as well as professionals, may seem to be intimidated when it comes to choosing the best call center software from the enormous heaps of other available software for their products or services. This is mostly because every software developing company promotes its product as the best one amongst others and there is no authentic proof that their claims are true. However, there are indeed some note-worthy points which when followed can help you differentiate the bad ones from the good ones. So, let’s check them out. A single dashboard offering support to multiple channels is always comparatively better than various individual dashboard systems. The single panel can support calls, videos, SMS texts, and more. Moreover, the simplicity of the dashboard also helps in deciding the inflow of traffic to the software, as people prefer simpler solutions more than the complicated ones. This is because anyone and everyone can work on the simple software without the need for prior technical skills. Numerous call center software for small business comes with in-built compatibility for the existing tools to help their users to proceed with their work. As they do not oppose any restrictions to the other devices which are already in use, the users need not search for other business tools and waste their precious time. No call center software for small business is good until and unless it excels in providing instant solutions to its users when they face issues. Moreover, they also add an extra layer of trust for the users by showing the product’s caring attitude towards them. The reviews left by old customers also play an essential role in differentiating the bad software from the good ones. By looking through the comments and the frequency of the service calls made by the customers, one can easily find out the software’s quality of service. The pricing structure of the best call center software varies from one to another depending upon the facilities and tools availed, the number of users using the software, as well as the duration for which the software has been hired. Hence, individuals can find the call center software from as low as $5/month to a high of $199/month. Similarly, many software nowadays also lets people enjoy the ‘Pay-as-you-go’ option which can be availed by paying the premium fee. Using this option one can download extra tools as required by paying the fee whenever desired. However, it is highly advised to go with the free basic version of the software initially to be on the safe side while simultaneously trailing the services provided. Afterwards, one can hire the premium plan as per the requirements if the software successfully manages to fulfil the expectations of the company or business. As you have fully understood every nuance of an ideal cloud-based call center software, it will be easy for you to select one for your business. Whether you are looking for a call centre software for small business or big, the criteria of judgement remains the same. All you have to do is to go through many vendor proposals and separate the wheat from the chaff. In case, you are not sure, take help of social media groups and review platforms to zero your decision upon the ideal one.